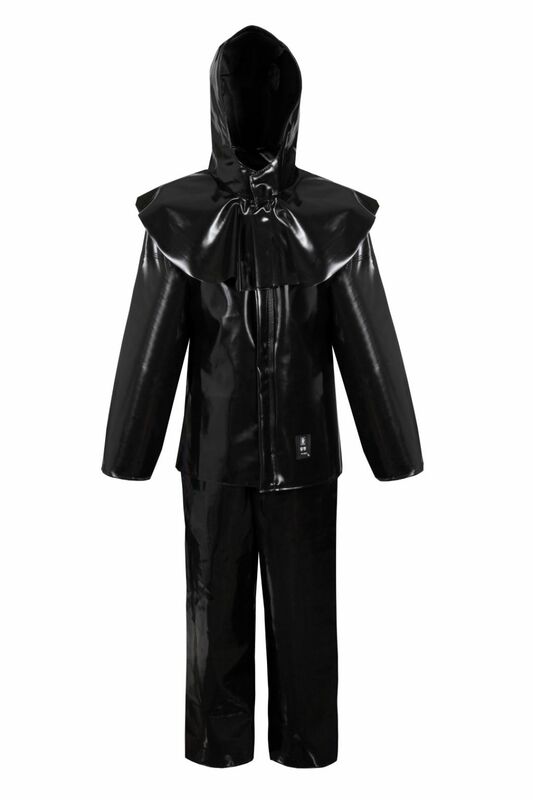 The product is made of fabric called Plavitex Acid - polyester coated of PVC both sides. The suit contains a jacket, bibpants and special hood. The jacket is fastened with hidden snaps under storm flap. The bibpants has adjustable elasticated braces. The product protects workers against concentrated acids, alkalis and saline solutions (H2SO4, HNO3, HCL, NaOH). Thanks to double welded high frequency seams the product also protects against rain and wind. The product conforms with the EN ISO 13688, EN 343 and EN 14605 standards.